I turned 30, and it wasn't scary at all..
I’ll admit, I didn’t fully know how I felt about turning 30.. it felt a bit odd in the months beforehand to have this ‘thing’ hanging over me, but when it happened I sailed through and it turned out not to be a ‘thing’ at all. I do miss a little being ‘in my 20s’ but I had nothing huge that I’d hoped for by the time I was 30 that hadn’t actually happened. After I had Vivienne, age 20, I made a little scrapbook of everything I wanted to do before I turned thirty. In it was little things like “go camping” and ”go skiing” (“go skinny dipping was also apparently important to add to my bucket list in my early 20s..), trips like “visit Las Vegas” and bigger things like “buy a house”.. I wasn’t working to the list but somehow pretty much all of it happened?! Anyway, I was lucky enough to be treated to an amazing trip to Paris for my birthday with Dav and it was just gorgeous. 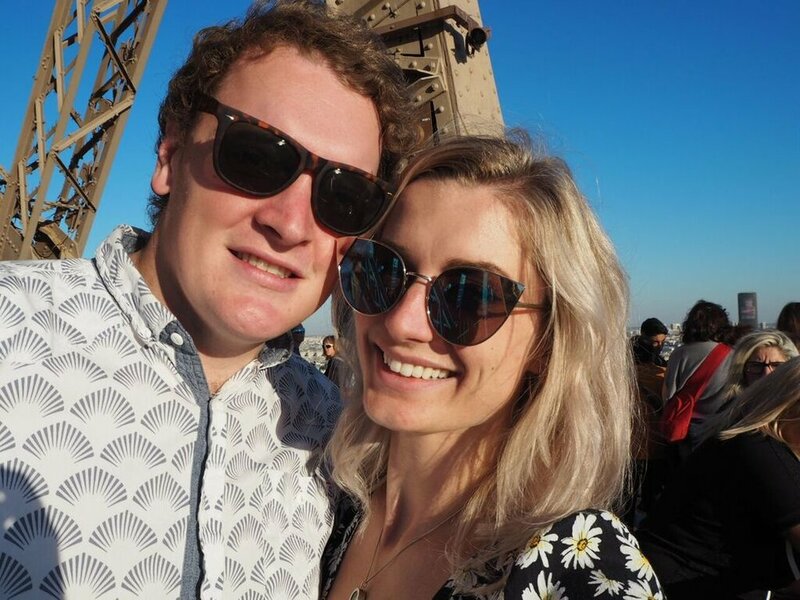 I’ve been to Paris a few times now so there was no pressure to go and do a lot of the touristy things - it was mainly about the food and taking in the whole experience. 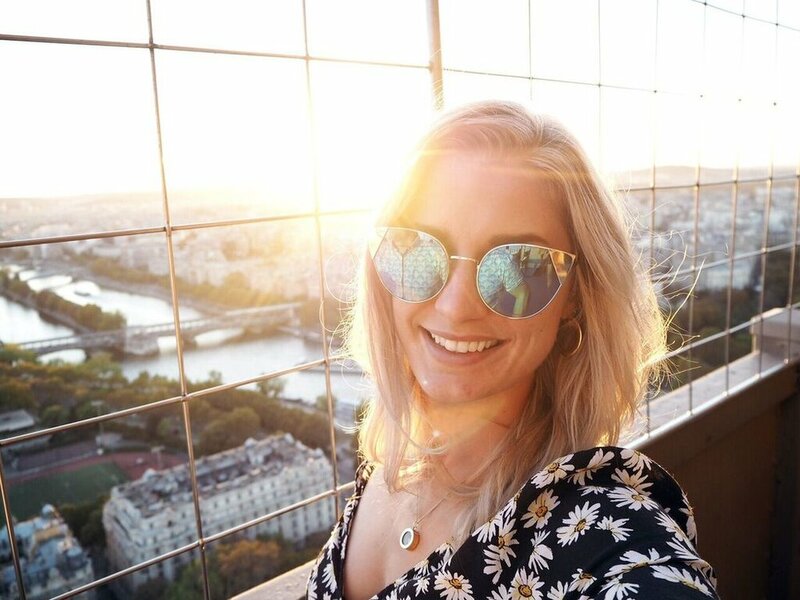 Saying that, I wanted to watch the sunset over the city from the Eiffel Tower which was just perfect. We wandered, ate, drank, wandered, took photos.. it was bliss. Like any break when you have kids.. it’s as much about the break from routine itself that feels amazing. I didn’t want a party or anything for my birthday - being the centre of attention makes me feel a bit uncomfortable - but a night out and a pub lunch the following weekend was a lovely relaxed way to spend it with family and friends too. So, for friends that are about to jump into their 30s (side note: I irritatingly remember being ‘scared’ about turning 24..), it actually feels pretty good. I do feel, like people say, that I know more about myself now than ever before. It doesn’t mean I have everything worked out - not by any stretch - but I feel OK knowing who I am, what I like, what I don’t, my good points, my bad points.. I feel a bit more relaxed in myself and also more self-assured. I’m going to embrace my 30s even more than the decade before. Maybe now I need to write a 40 before 40 list..? I AM, THEREFORE I INSTAGRAM.. PHOTOGRAPHER AT SALLY T PHOTOGRAPHY.. MUM TO TWO GIRLS.. WIFE TO DAV.. BAD TV ADDICT..
TRAVEL LOVER.. GIN LOVER.. BASED IN GLORIOUS NORTH YORKSHIRE..
ALL RIGHTS RESERVED. COPYRIGHT SALLY T PHOTOGRAPHY.